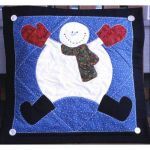 Minimum quantity for "Angelz in the Snow" is 1. 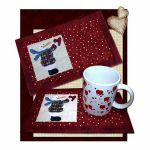 Introducing a new series of patterns called "Just 2 Tea Towels". 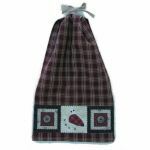 Each set will have directions for making a long apron, short apron, and tea towels for display. 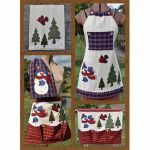 Each apron is made using ONLY TWO TEA TOWELS, then add your fabric appliques, buttons and rickrack! 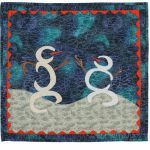 January is one of the Little Quilts Squared quilts. 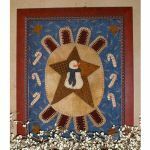 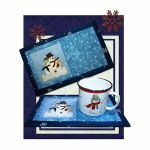 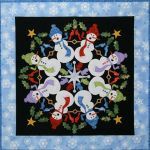 They measure 12" x 12" and fit perfectly on the 12 x 14 Single Scroll Stand, 12" quilt hanger, or add magnets to the back and decorate your fridge! 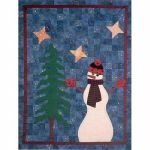 Quick fusible applique and easy patchwork.Finished quilt size: 50" X 50"Finished block size: 6" X 6"
These charming ladies are decked out for cold, winter weather. 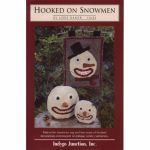 Arm-in-arm they playfully kick up their snowshoes. 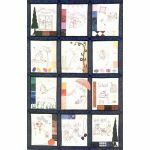 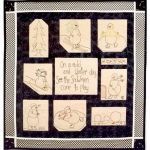 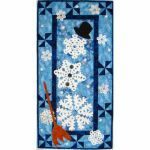 This whimsical wall hanging measures 19½ " x 23½". 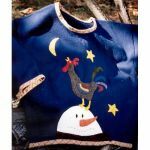 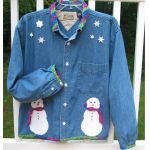 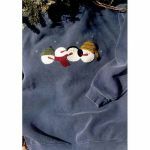 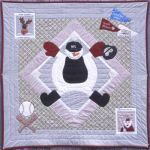 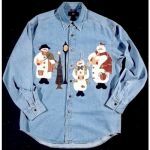 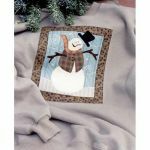 Pattern includes easy-to-follow instructions, helpful diagrams and full-size appliqué artwork. 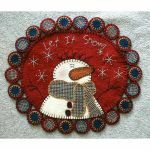 Designed by Sue Shipman and Sue Keck. 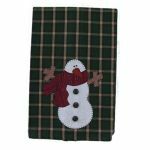 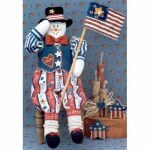 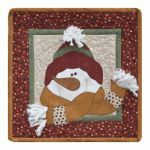 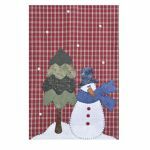 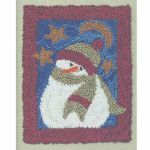 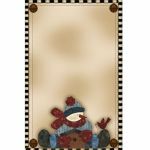 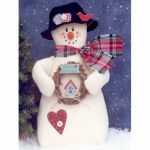 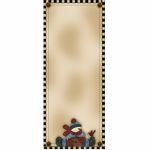 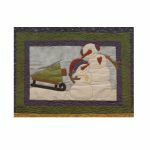 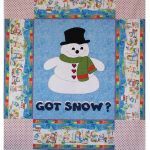 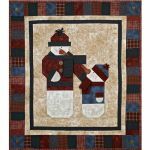 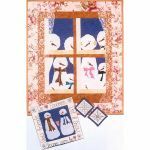 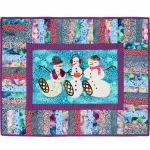 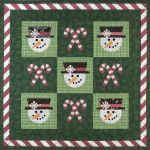 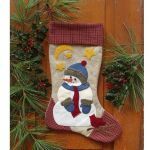 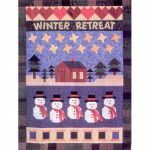 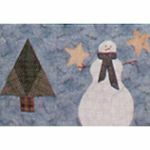 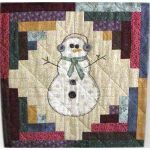 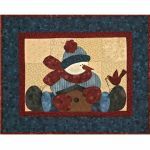 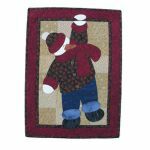 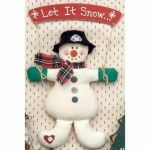 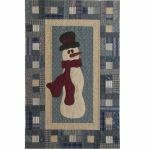 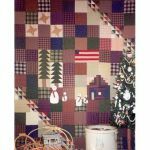 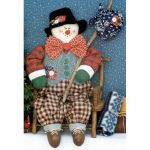 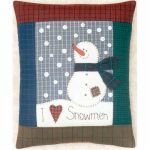 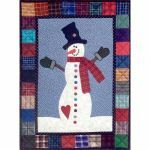 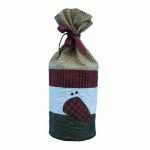 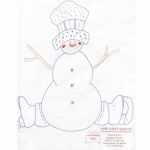 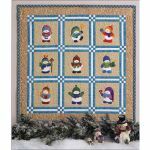 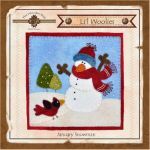 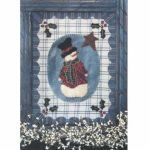 Hooked On Snowmen is a pattern for snowman rug and two sizes of hooked decorations reminiscent of antique candy containers. 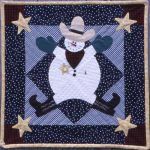 Designed by Lori Baker.